A building permit with a lot of zeros was just filed for the new University of Memphis student recreation center. The permit to “construct student recreation center” at 3798 Southern Ave. was submitted Monday, Sept. 19. The permit to build the more than 192,000-square-foot center was valued at $53 million. Hoar Construction LLC was listed as the contractor, HNA Engineering LLC the engineer, the Crump Firm the architect, the Tennessee Board of Regents as the owner and the University of Memphis as the tenant. 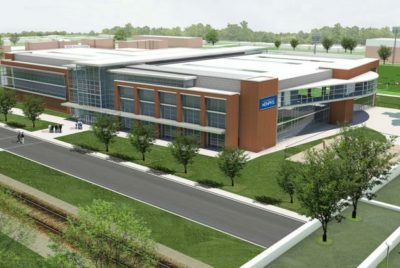 According to the University of Memphis website, construction of the new rec center is expected to begin this fall with completion in late summer/early fall of 2018. A few of the features in the new facility will be a climbing wall, recreational pool and lane pool, quarter-mile indoor track, juice bar, an outdoor leisure pool and outdoor turf fields. The total project cost is expected to reach $62 million. The current rec center will stay open during construction.